A truly fascinating flower design unlike any other! 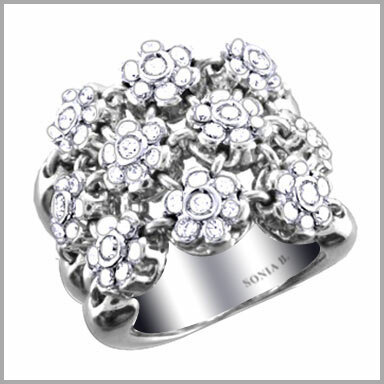 Crafted in your choice of polished 18K white gold or a combination of white and yellow gold, this flower ring is truly a blooming beauty! It is created with a total of 70 full round cut diamonds in prong settings. The total diamond weight is approximately 1.75ct with a color of G-H and clarity of SI. The setting size is 7/8" x 3/4" with a height of 3/16". This ring is fabulous. 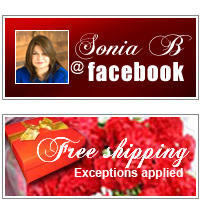 I have had many compliments from people in the high end jewelry industry. Designers at trunk shows have grabbed my hand and have ask me where I got this ring. I have the matching flex bracelet so they are indeed a beautiful sight!